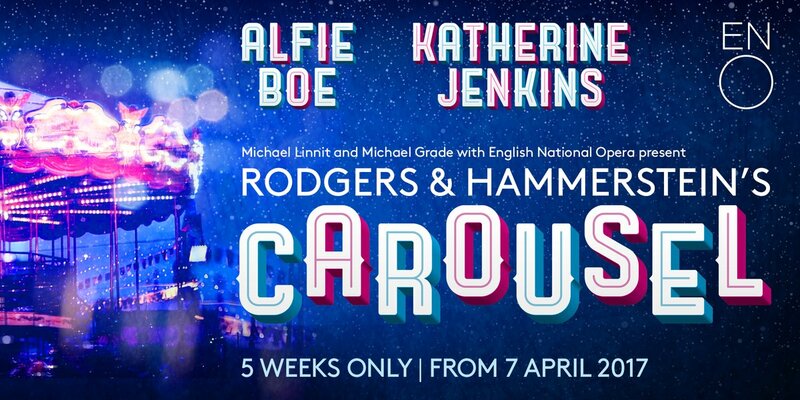 Alfie Boe and Katherine Jenkins will star for the first time together in the West End as Billy Bigelow and Julie Jordan in Rodgers and Hammerstein’s CAROUSEL, the third semi-staged production in the partnership between English National Opera (ENO) and the GradeLinnit Company. Lonny Price will direct the strictly limited run of 41 performances at ENO’s London Coliseum. Beginning on 7 April 2017, with press night on 11 April 2017 at 7pm, the final performance in this strictly limited five week run takes place on 13 May 2017. 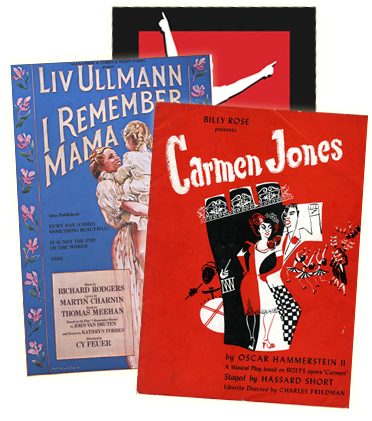 ENO award-winning 40-piece orchestra and chorus will accompany the cast in these semi-staged performances. Further casting will be announced shortly. Platinum-selling recording artist, English tenor and actor Alfie Boe returns to the West End to play Billy Bigelow. He played Jean Valjean in the West End production of LES MISERABLES at the Queen's Theatre, a role he also played in the show’s 25th Anniversary Concert and on Broadway. He made his US debut in Baz Luhrmann’s LA BOHEME, where earlier this year he played J.M. Barrie in FINDING NEVERLAND. Welsh lyric mezzo soprano, singer and songwriter Katherine Jenkins will make her West End Theatre debut as Julie Jordan. Her most recent album “Home Sweet Home” was her seventh studio album to reach number 1. She has performed for the Pope, Presidents and Royalty including The Queen’s 90th birthday celebrations earlier this year. Tickets for CAROUSEL are £12 - £110, with over 100 available at £12 for every performance. Priority booking opens for ENO Friends (www.eno.org) at 9am on 25 November 2016 with public booking opening at 9am on 30 November 2016.